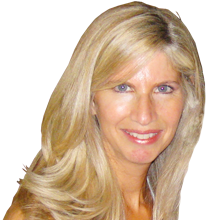 Contact information for Lisa Lichtenstein, MFT, cht, NLP, in Santa Monica, California. Seeing Ourselves Reflected in the World Around Us. 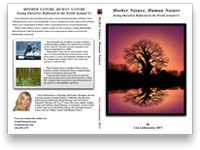 This book portrays the wisdom of Mother Nature in categories such as Growth, Change, Acceptance, Relationships, Birth and Death, Faith and Spirituality. The companion photographs to each entry exemplifies Mother Nature’s profound teachings. I encourage you to call me and inquire about what you would like to achieve in therapy. Finding a good fit in a client/therapist relationship starts with feeling comfortable over the phone. Feel free to ask me questions and you then can decide whether to go forward setting up an appointment. You are also welcome to contact me by email for any and all inquiries.